On January 31, 2013, my trainer found my horse Tippy colicking. Tippy was trailed to Virginia Tech Marion duPont Scott Equine Medical Center and had to go into surgery. He had displacement colic where the last 10 feet of his small intestine had gone through a hole in his abdominal wall and died, causing the rest of the intestine to back up. The surgeons had to go in and resect everything in the small intestine, cut out the dead part of the intestine and sew it to the cecum. They said he might reject the surgery, but he didn’t. The following day when I went to go visit him, he was acting normal and in the following days, he was acting like himself and they were beginning to feed him again. On Monday he was taken off of everything and was in his stall like a normal horse. I took him for a walk after school and grazed him. After I brought him in and groomed him they let me put his food in his bucket and I watched him eat. I noticed that he started to paw, kick and look at his stomach after he ate. The vet gave him some Banamine and I went home. Tuesday he had to go back on his fluids and IVs because he had gas built up in his system. My mom picked me up from school because Tippy had to go in for surgery again. The surgeons said that this was the last time he could go in for this intensive surgery. The surgery went smoothly and when the head surgeon came out to talk to us he said there was nothing unusual or anything alarming, nothing seemed to explain why Tippy was acting like he was in such pain. There were two spots that he sewed over to prevent them from forming adhesions. Tippy came out of anesthesia smoothly and I gave him goodnight kisses, telling him that I would be out to see him the next day, Wednesday. Between 2:30-3:00 on Wednesday, February 6, 2013, we got a call from the surgeon. Tippy was going downhill and we needed to come see him. When we got there they told us that they had sedated him several times to see if the gas would push out on its own or if the fluids would help, but nothing was working. I looked at Tippy and I saw that he was tired and that he had done all he could do, that he fought his hardest. I told him that it wasn’t a “goodbye,” that it was a “see you later,” because goodbye means going away and going away means forgetting, and I was never going to forget him and everything he did for me. I wasn’t there when they let Tippy go to heaven, but I told Tippy that there were so many people and horses waiting for him there and that one day we would have our forever, just like I promised him from the beginning. He was and still is my life, he taught me lessons that no person could have ever taught me. He wasn’t just a teammate or a partner, he was my best friend and soul mate. He loved and accepted me for who I was, not who I pretended to be, he never judged and he was always there for me to go to. I wish we had more time together here on earth, but things happen, and as much as I needed him here, heaven needed him more. All of Wednesday was sunshine and wind, Tippy was letting me know that he was home and having a great time galloping up there in the big green pastures. He’ll always be my champion. 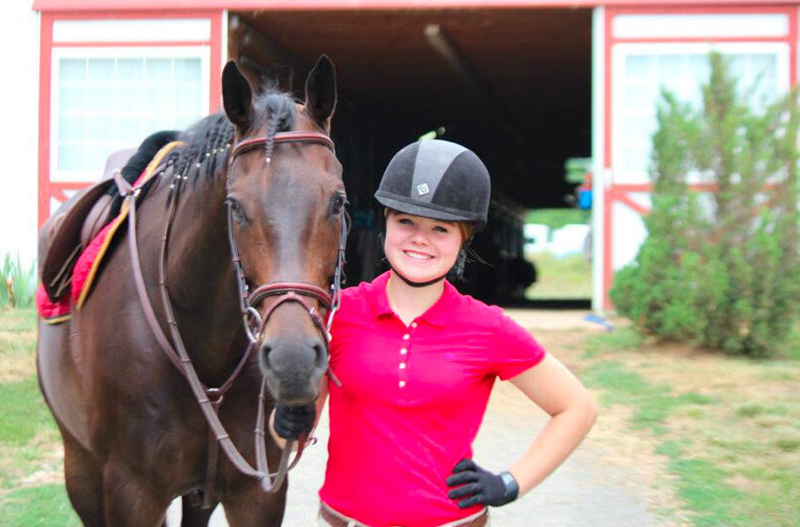 The Crusade Against Equine Colic celebrates the Tippy’s life and thanks Mackenna for sharing her story.